We’ve hit 2019 with a bang! Now it’s the perfect time to check out what is going to be hot in terms of wedding trends for the year. We’ve asked some of the Gold Coast’s leading wedding suppliers for their recommendations on what to look out for. Think wedding dresses with pockets or flat shoes to dance the night away. No one wants to end up with blisters and aching feet. Why not grab a pair of sneakers, add some sparkles and you’re good to go. Outfit changes – carrying on from comfort – we’re heading back to the days of wedding dress and reception dress. With longer wedding festivities, brides and grooms are changing it up with outfit changes. Specialty foods that represent the couple are beginning to make their way onto reception tables. Think grandma’s fudge or the secret family biscuit recipe, artisan olive oils or specialty spice blends. These are being given pride of place on the tables, either as take home bombonieres or to eat at the reception. Communal tables and mis-matched table sizes. Not all relatives and family groups fit into neat 8 or 10 sized groupings. Couples are selecting mis-matched table sizes to match their group sizes not the other way around. Deliciously flavoured cakes. Jo from Sweet Art Creations Cakes is finding that couples can’t resist decadent flavours such as white chocolate mud with raspberry or the caramel/chocolate marble mud with caramel and chocolate ganache. These are definitely being eaten at the reception, not wrapped up and taken home. 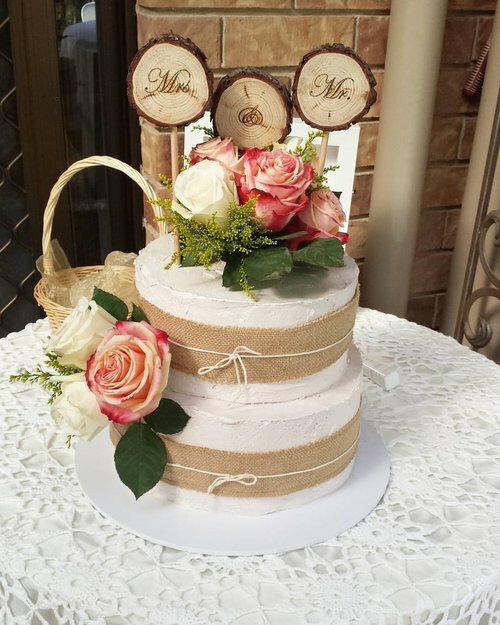 Naked cakes are still on-trend and are an affordable option whilst still being styled with matching flowers to complement the bridal bouquet. Buttercream cakes are increasing in popularity for 2019. Whilst fondant is beautiful and can be made into all sorts of gorgeous shapes and flowers, couples are opting for buttercream as it’s more likely to be eaten by guests than traditional fondant. Have a look at some of Jo’s amazing creations at her website and Insta. They are also noticing a lot of the “trendier” wedding images have a much more filtered edit, colours aren’t as vibrant and the couples are styled in a much more candid way. J’adore, on the other hand, love colour, vibrancy and enhancing the natural beauty of their images. Explore more of their photography on Instagram. It is all about LOVE, LEGALS, and LAUGHTER. The ceremony nuptials have changed heaps. Couples are starting to realise that their ceremony can be whatever they want it to be, apart from the legal wording that has to be said, you can write your own book as far as ceremonies are performed, which is bringing out some really creative weddings. Gone are the days of this is your ceremony put the Groom’s name here and the Bride’s name here. This has sprouted new life into ceremonies instead of being the thing you have to do in order to get to the reception and have a good time. Couples are really excited to be involved in their ceremony if they have some ownership of it. Rituals have gone out of fashion a little – like sand ceremonies, hand binding and things of this nature. I don’t get asked as much as I used to to perform these sorts of rituals anymore. My advice to couples is these things have to resonate with you guys as a couple. If you’re just doing it because you think you have to or it feels uncomfortable then just don’t do it. It is all personal choice at the end of the day. Follow Shane on Facebook and Instagram. Gone are the days when couples would line up a trestle table in the corner of the room and call it a bar. More and more couples are using their bar as a feature space where guests can relax, enjoy delicious drinks and most importantly, mingle the night away. We are finding couples investing time and energy into creating a bar area guests will love. From blooms, lighting installations, custom bar menu’s and beautiful glassware, couples are finding their own unique way to make the bar their own. 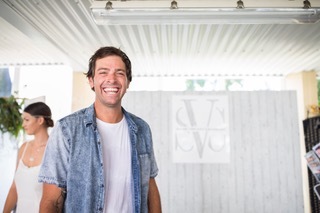 More and more couples are taking the opportunity to express themselves through their wedding bar by offering their favourite beers, wines and cocktails. They are asking for personal touches from places where they first met, garnishes home grown from their gardens etc. With so many wonderful (and world class) breweries and distilleries opening in Brisbane, Sunshine Coast and Gold Coast, couples are opting to offer their guests exciting, local and delicious brews. Step aside trestle table bar, and welcome in a new era where couples are looking to offer their guests a memorable service and experience through the evening. 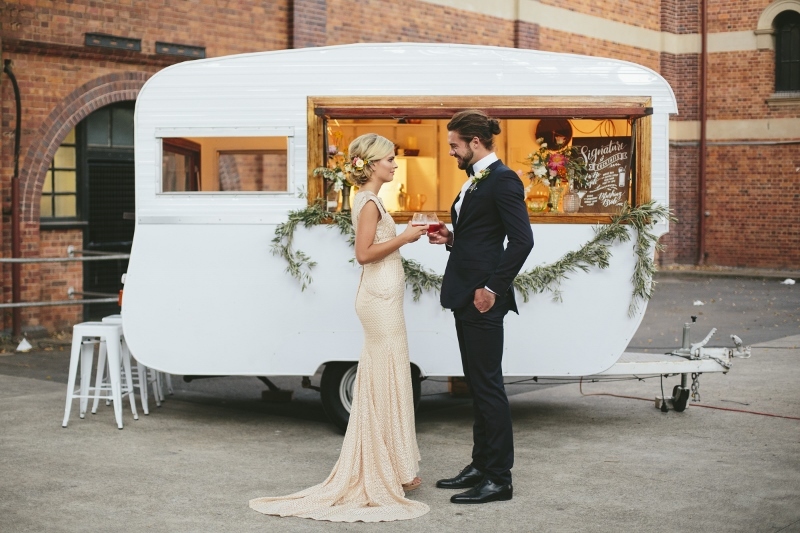 Many couples are adding signature and classic cocktails to their menu, celebratory late night whisky bars, post ceremony coffee carts, mocktail drink stations and interactive cocktail carts for those popular late night espresso martinis. Discover more about creating unique bar areas with Jen from Gathering Events and follow them on Instagram. Kiefa from Insta Kombi told us, “We find couples come to us looking to add that super fun element to their day! We’re slowly seeing a rise in demand for Gif Booths & even video booths. These are both super fun and extremely interactive, however, you just can’t beat the classic photo booth. There is something so special and exciting about receiving your print after each session and guests love having something tangible to take home! We have a few exciting things in store for 2019, including the introduction of some new booths (hint: they are not on wheels!!). In terms of styling that’s not so hot, we feel like the rustic theme which was really popular with us over the past couple of years is not being asked for so much anymore! Keep up to date with all the latest on from Insta Kombi via Insta. How to spend Father’s Day!